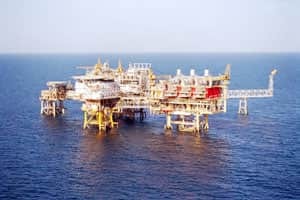 New Delhi: State-owned Oil and Natural Gas Corp (ONGC) on Friday said its board has approved an investment of Rs2,060 crore in the B-127 oil and gas field in the western offshore. B-127 cluster comprises three marginal fields namely B-127, B-157 and B-59. The cluster is located east of Mumbai High with significant hydrocarbon accumulations in multi-layered reservoirs within Bassein and Panna formations. “It has total in-place hydrocarbon of 24.6 million tonne oil and oil equivalent gas of which about 15.35 million tons oil and oil equivalent gas in major pools is considered for current development," it said. B-55 field discovered in 1978 is further north-east of Mumbai High and B-127. This field has been on production since November 1999, and currently producing about 2.05 million standard cubic meter per day from 9 wells. However, Heera and Mahim formation of B-55 are yet to be developed. The exploratory well B-55-5 in this new area has produced gas from Mukta formation on testing; thus leading to the requirement of its further development. “The proposal that the Board cleared on 1 December is for an Integrated Development of B-127 cluster with Additional Development of B-55 field at an estimated cost of Rs2,059.63 crore," it said. Production from the cluster is scheduled to commence from May 2014. The B-127 cluster development envisages cumulative production of 1.836 million tonne oil and 2.093 billion cubic meter gas over 10 years and the additional development of B-55 envisages production of 0.155 million tonne oil and 2.583 bcm gas over 13 years.